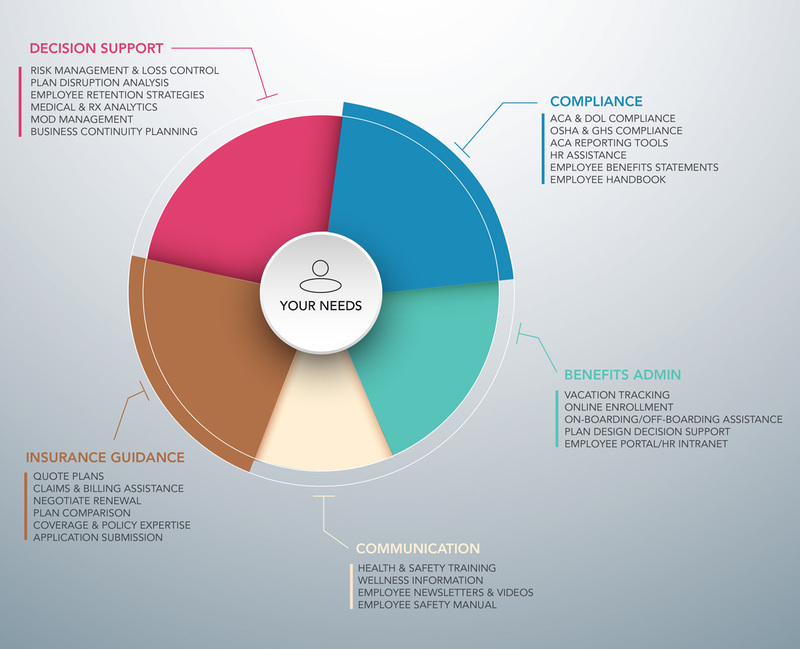 From compliance to communication, we provide a full spectrum of solutions for you and your company. We understand the challenges today's employers face and know you're asked to take on more than ever. Expect more from your broker - expect a full spectrum of solutions. Kinloch Consulting Group is the employee benefits arm of Optisure Risk Partners, a newly formed brokerage created specifically for middle market companies. While our name is new, our people are not newcomers to employee benefits. You work with people who average 20+ years in the business. They have experience with a wide range of national and regional employers in a variety of industries. Their insight, creativity, integrity and penchant for excellence make a real difference in the quality and effectiveness of the solutions you see. To begin the process for sourcing the right benefits for your organization a full assessment process is undertaken. Audits of existing relationships, internal systems and a discussion on business/organizational goals is paramount. Once the assessment and discovery process is complete, we create the appropriate plan and source the best place to purchase the products/services your organization needs. All available resources are brought to bear to negotiate the best terms without sacrificing quality or features. Then, working with you, we implement the packages throughout your organization. You have the right to know exactly what you are paying for and to work with people whose financial interests don't conflict with your own. Each member of your team is measured and rewarded based on the results he or she delivers to you...No excuses. We are a group of bright people who approach each situation with a blank slate, a wealth of experience and a high level of enthusiasm and creativity.